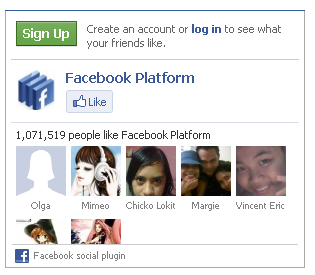 Facebook like box is widely used now days. It shows your followers with their thumbnails. Though you can turn off the thumbnails and make the widget like i have done above this post. This widget makes really easy for the vistors to like your blog with just one click like other Facebook "like" widgets. 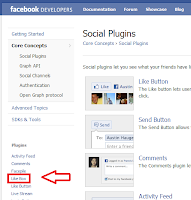 So lets get started and add this cool widget to our Blogger blog. 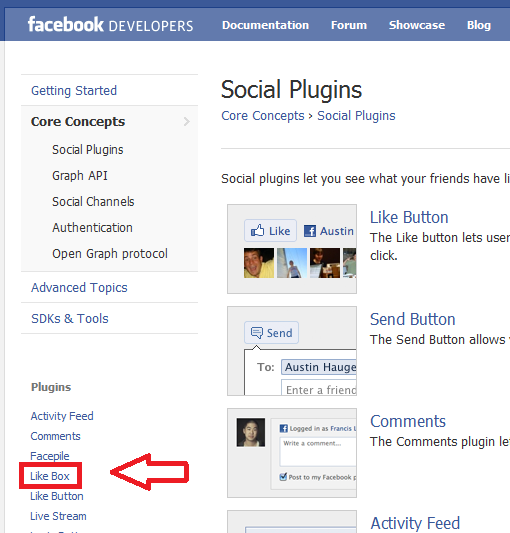 Go to Facebook Social Plugins and choose Like Box on left as shown in the picture. It will take you to the following page below. Set how you want it to look and finally enter your blog link in the space provided. 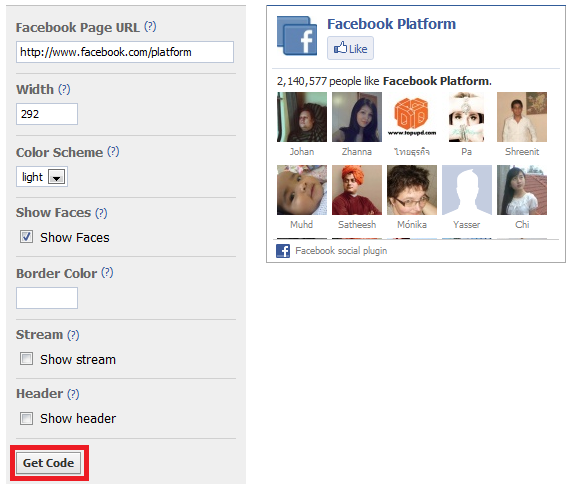 Then finally click the "Get Code" button below. Go to Design >> Edit HTML and tick the check box. 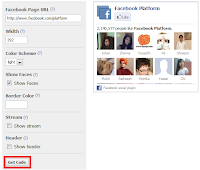 And just below the above code paste your Facebook Like box code. Now click Save Template button.